For jewelry makers who want to go totally traditional with their animal-themed jewelry, this giraffe print is just the ticket. 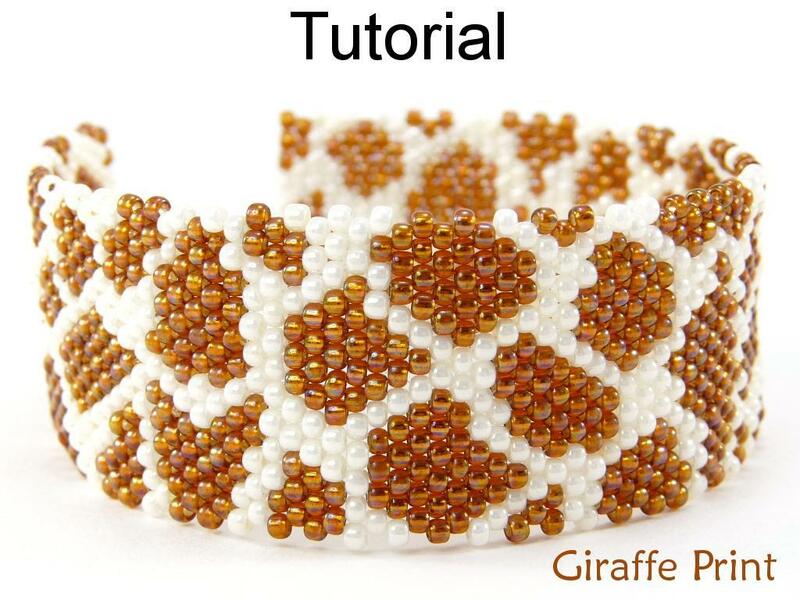 You’ll get plenty of photos and step-by-step directions for completing the bracelet, so don’t be scared to try it even if you don’t feel like you’ve mastered the brick stitch just yet. Complete two sections with a brick stitch square on each end and a seed bead scallop in the middle. Then connect the center with a row of 7 8/0s (or any other decorative touch you like). Decrease at each end to 6 10/0 triangles, and attach to clasp. Finish off any loose ends. Remember that it is easy to adjust the length (this one was 6.75”) by adding to the seed bead scallops or adding additional center or end rows. I can’t remember why, but for some reason one of my daughters had wanted a little piggie, and I still have the graph, so I’m sharing him with you. 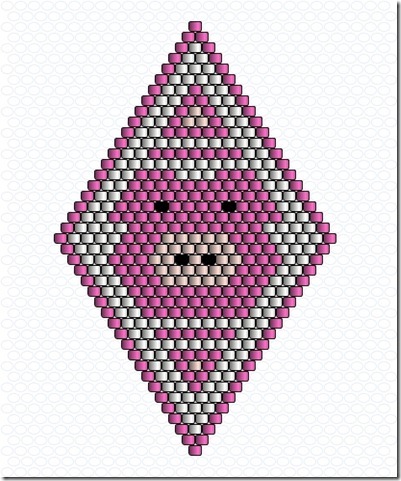 Keep in mind, this is from when I first started beading, so it’s a very simple pattern of a piglet on a diamond-shaped background. I think she used it as a decoration on top of a little box she had in her room. It’s done in brick stitch. Thanks for this pattern, I made myself a pair of these earrings with Delicas, they are so cute! I just taught my fiance’s niece how to do brick stitch using this pattern with seed beads, she made one earring and I made the other, so now we have matching earrings for Xmas!